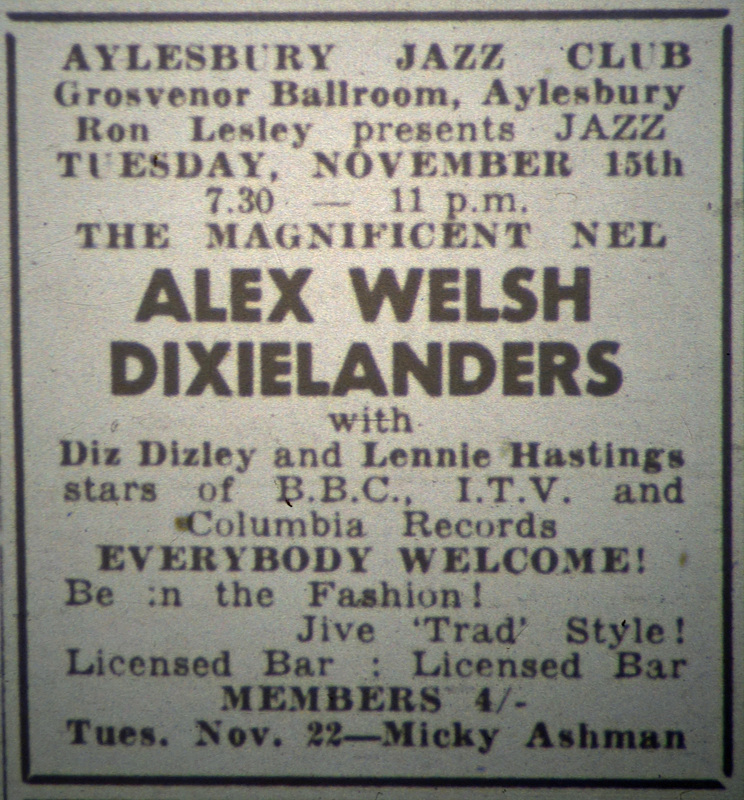 In 1960, the Aylesbury Jazz Club continued to present top-class trad jazz at the Grosvenor Ballroom every Tuesday evening. The fans continued to flock in – the Bucks Herald reported a record attendance of 950 for Terry Lightfoot on 24th May. 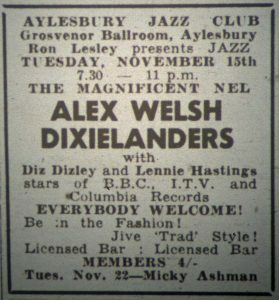 Micky Ashman and his Ragtime Jazzband topped the number of appearances during the year with 8, followed by the Kenny Ball Jazzmen (6) and Terry Lightfoot (5). Ken Colyer, Acker Bilk and Bob Wallis each appeared three times. In addition there were five all-night jazz balls held at the Grosvenor Ballroom during the year – for details, please see here. Details of the 52 gigs in 1960 are shown below. For other years, please see separate posts.